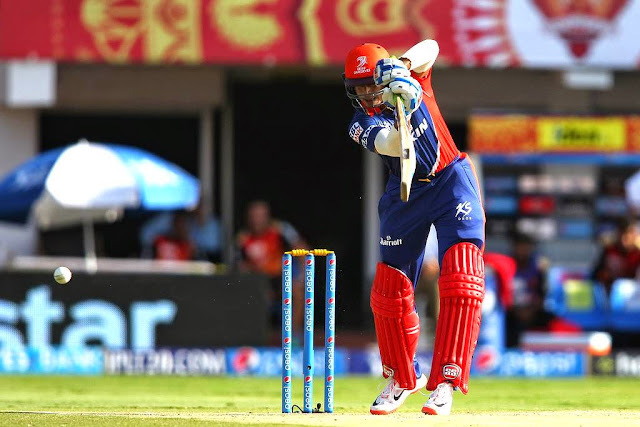 Delhi Daredevils won the toss and opted to bat first at the Dr. Y.S. 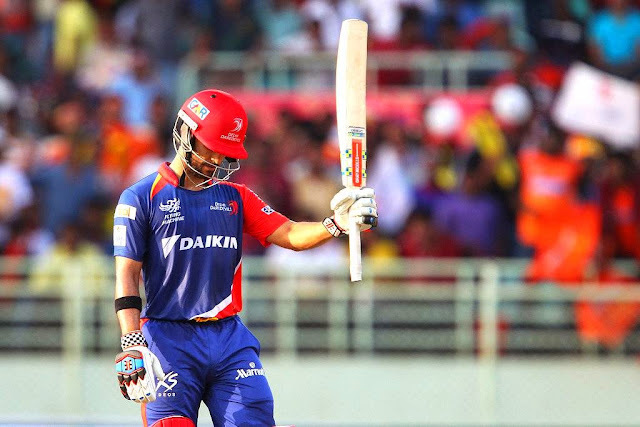 Rajasekhara Reddy ACA-VDCA Cricket Stadium in the beautiful city of Visakhapatnam as their captain, jean-Paul Duminy got it right at the toss. They had to pose a good total on the batting friendly pitch to give themselves a chance in the game. The perfect beginning for the Sunrisers as they dismissed the in form opening batsman Mayank Aggarwal for just one. Also, the South African speedster Dale Steyn and the Master of Swing, Indian pace bowler Bhuvaneshwar kumar kept things tight in the initial overs. But the slow beginning never pressurized the Sunrisers as Shreyas Iyer and their skipper, JP Duminy batted well to cover up the loss. JP Duminy ensured the scoring did not slow down after Iyer was removed and the captain also reached his fifty and set up DD for a big score. But then, Dale Styen, the South African speedster, shattered Duminy's stumps to end his onslaught. Soon then Yuvraj Singh fell to Ashish Reddy with David Warner taking a blinder at the boundary. Angelo Mathews and Kedar Jadhav, however, did not let the two quick wickets prevent them from taking Delhi to a respectable score of 168-4 after 20 overs. 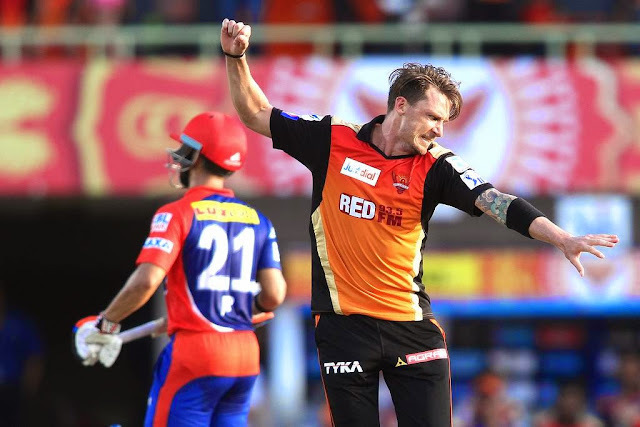 Warner and Shikhar Dhawan continued from where they left off in the last game and began a bombardment of boundaries in the powerplay. It was Duminy to the rescue, again, for DD as he got both the openers in his second over. The South African came back for another over later and snared Ravi Bopara and Eoin Morgan. 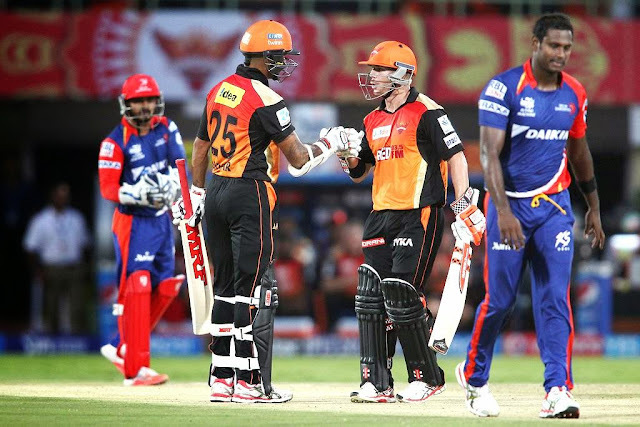 At the end, the match went down to the wire with SRH needing 7 off the last two balls. They almost got them had it not been for the incredible save by Mayank Agarwal at the boundary to prevent a six and Nathan Coulter-Nile bowling a tight last over. Delhi now seem to gain momentum and progress as a side. 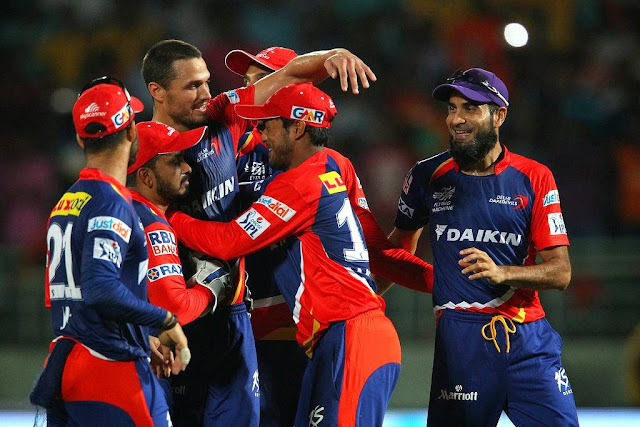 Delhi Daredevils top the Sunrisers Hyderabad in an Indian Premier League thriller.